Join IDSA.NYC, Hyloh and The Circular Economy Network for, “There are no Sustainable Materials” a panel discussion on achieving real sustainability through design, material choices and circular economy principals. 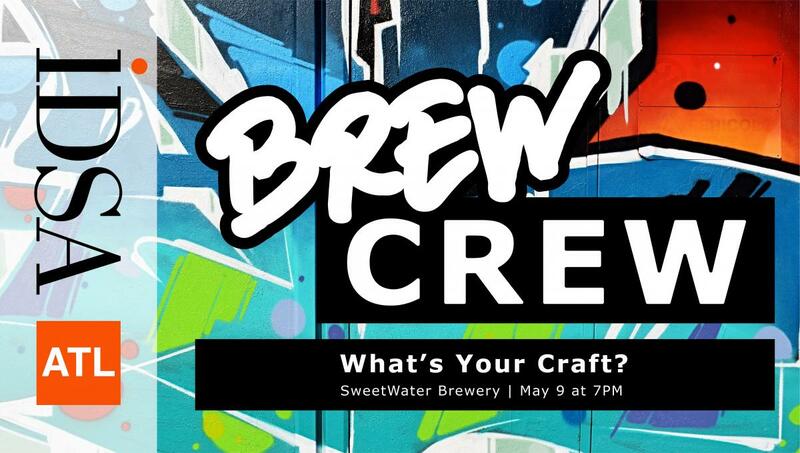 May Brew Crew is just around the corner ... Once a month we will be meeting at a local brewery after work to discuss a design topic. For May, we ask - what’s your craft? We will talk about our skills and representing them by designing our own “craft beer” labels. Samsung Design Innovation Center is opening their doors to the design community by sponsoring a series of intimate events that foster connection and skill building. Seats for these events are extremely limited. We often experience AI in the products we use day to day, but how is AI influencing the way we design and build these products? In this event we take a deep dive into design for automation. Formation Design Group is turning 20! Join the party on April 26th for tacos, drinks, and a presentation from Uber's Head of Product in the Advanced Technologies Group, Eric Hanson. The Industrial Design department at MassArt is having their annual ID portfolio review event on Wednesday April 10th from 6 - 9 pm in the DMC Atrium. Event is open to all Mass Art ID Juniors and Seniors wishing to have a professional review their work. Students from other ID programs such as Wentworth, RISD, and RIT are also welcome to register. Each student will get 15 minutes to discuss their work one on one with a local designer. Students are encouraged to use the 3 hour duration of the event to get in as many conversations as possible. On Wednesday March 27, three senior ID students from Kansas State University and three senior ID students from the University of Kansas gave presentations of their design work to an audience of area ID professionals, faculty, other students, and guests. Please join the IDSA San Francisco Chapter as we unlock the secrets on how to start and run a successful design consultancy. We will hear from some of Bay Area's successful design leaders about their experiences and the diverse paths they took to found and run their own thriving design consultancies. IDSA Florida is hosting a Brunch at ER Bradley's @ 104 N. Clematis Street, West Palm Beach, FL 33401. Talk design and network with IDSA collegues. After brunch, walk the Boat Show and tour yachts with special invitations. Free brunch and a ticket to the show for all IDSA members. Non-members are welcome. For more info or to RSVP, contact Edward Bohnenstiehl, IDSA, Chapter Chair. Join IDSAKC for our next monthly meetup on Saturday, March 23rd at 9:00am at Blip Roasters in KCMO. We will once again enjoy casual networking and conversation with our IDSA friends.